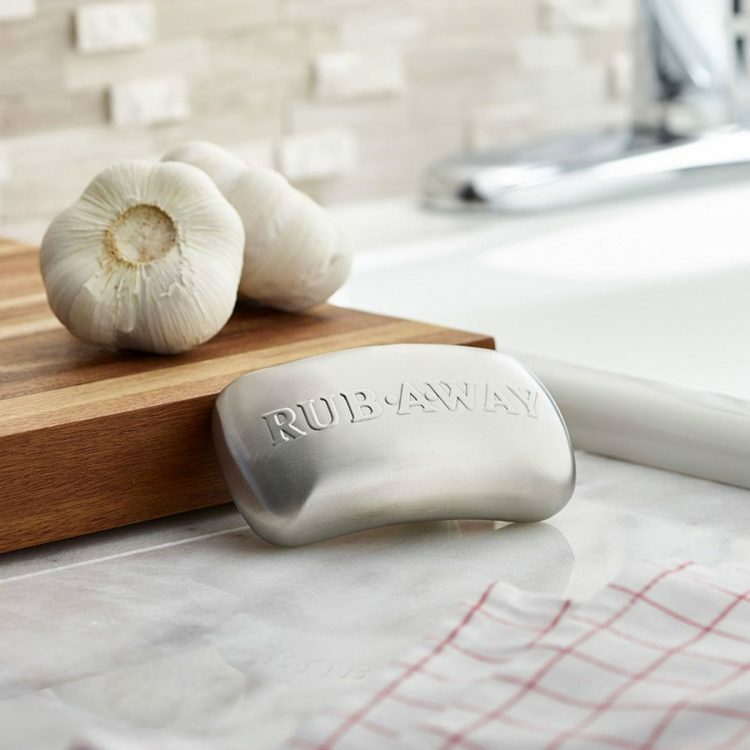 So why would you spend $8 on a piece of stainless steel, when you can just use regular soap, instead? 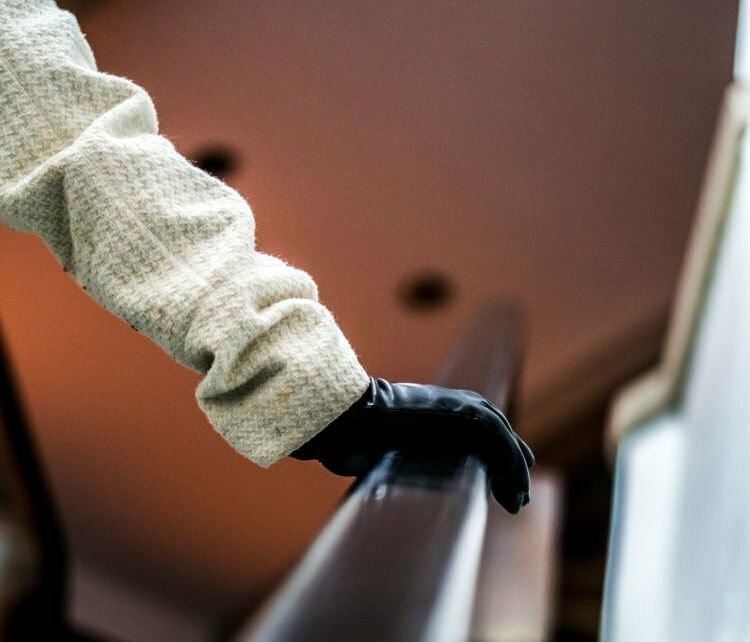 Well, Amco claims that washing your hands the old fashioned way just makes the smell worse, as the water turns the sulfur left by garlic or onions on your hands into sulfuric acid, which increases the intensity of the foul odor. 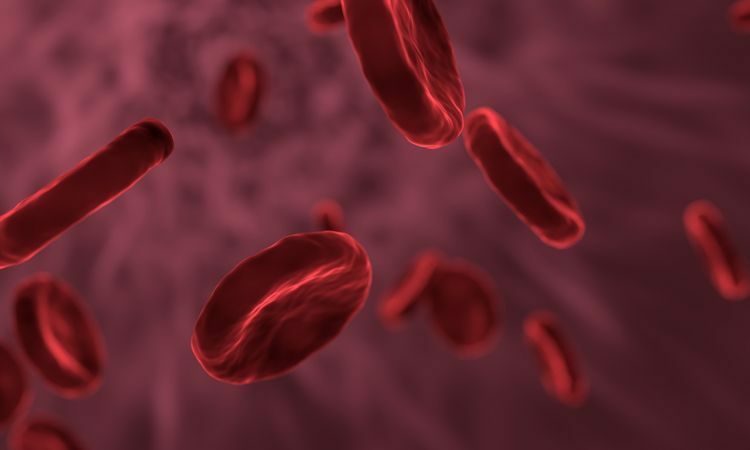 The metal ions of stainless steel, on the other hand, have a high affinity for sulfur and nitrogen compounds, pulling them off of your hands, and with them, the nasty smell. 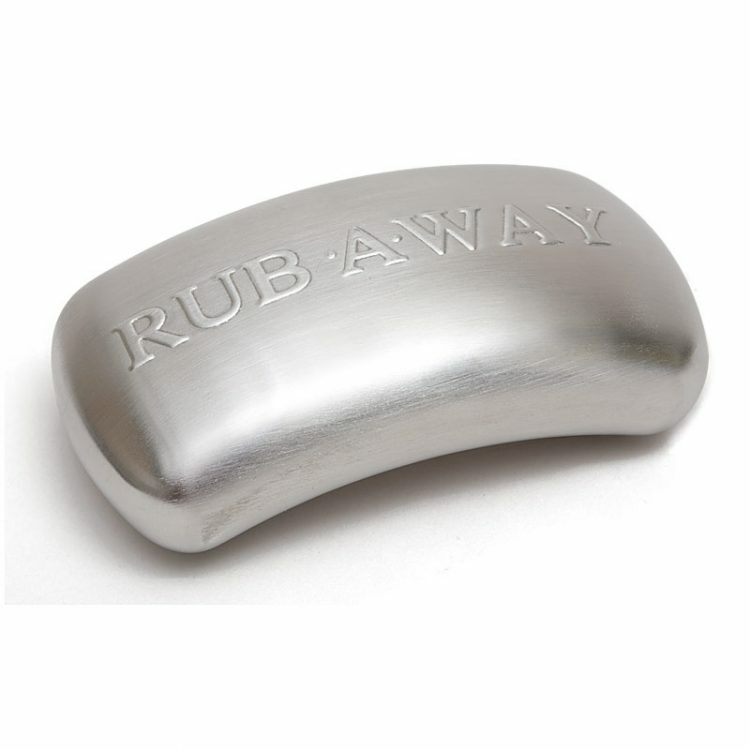 Does the Rub-A-Way stainless steel actually work as advertised by the manufacturer? Well, I haven’t had a chance to use it, but according to Culinary Lore, the answer is ‘sometimes’. 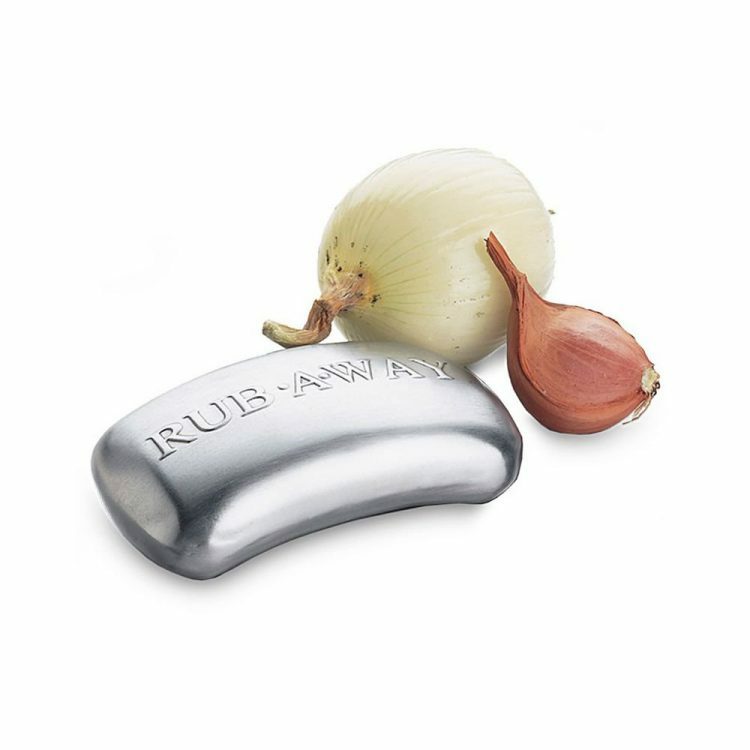 To be perfectly honest, their answer applies to stainless steel in general, but since this soap bar is just a simple piece of stainless steel, I guess it includes it as well. In 2006, NPR asked an independent chemist to carry out an informal test into the effectiveness of stainless steel, and his results showed that it fails to remove the garlic smell from your hands. 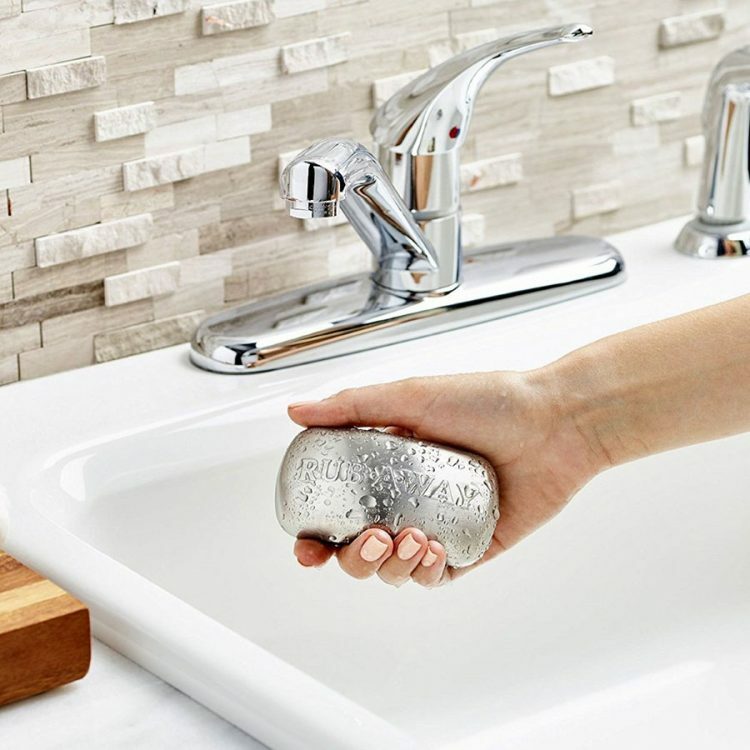 So you might want to try other stainless steel things in your kitchen, before spending $8 on something just because it resembles a bar of soap. 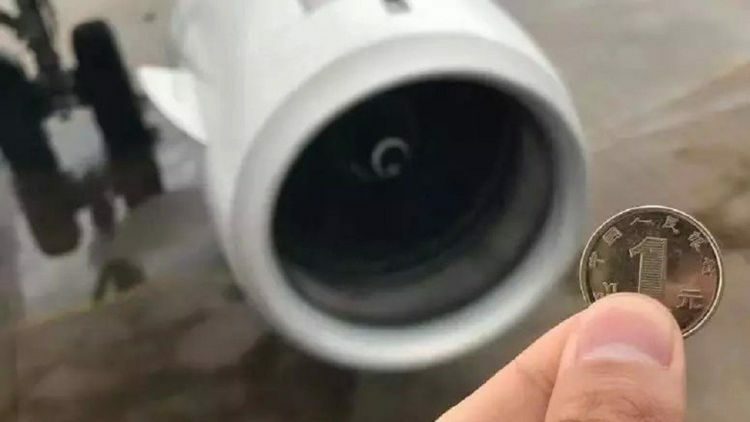 One thing you definitely don’t want to do is accidentally drop this thing on your toes. If that happens, the garlic, onion or fish stink of your hands will be the least of your worries.